Karl Tretter Wins the $400 H.O.S.E. Event at the World Poker Finals! Congratulations to Karl Tretter, winner of the $400 H.O.S.E. Event #14 at the Foxwoods World Poker Finals. 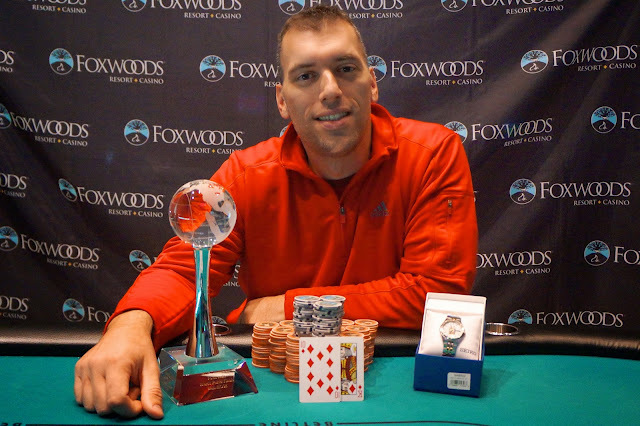 Tretter takes home $5,324 as well as the Foxwoods World Poker Finals trophy and watch. Day 1B of the $400 No-Limit Hold 'em event is now underway. 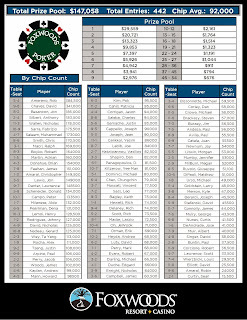 Players start with 20,000 in chips and the first 12 levels of play are 30 minutes in length. All levels after that are 40 minutes in length. Registration and re-entries will remain available through the end of Level 8. 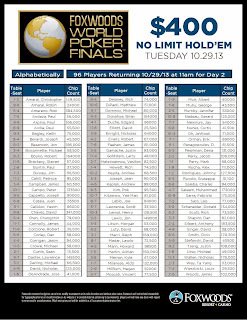 The chip leader at the end of Day 1B will earn a $1,000 bonus while the second highest chip stack will take home $500. Chip leader Robert Amereno took home the $1,000 on bonus on Day 1A while Jon Besancon pocketed the $500 for the second biggest chip stack. 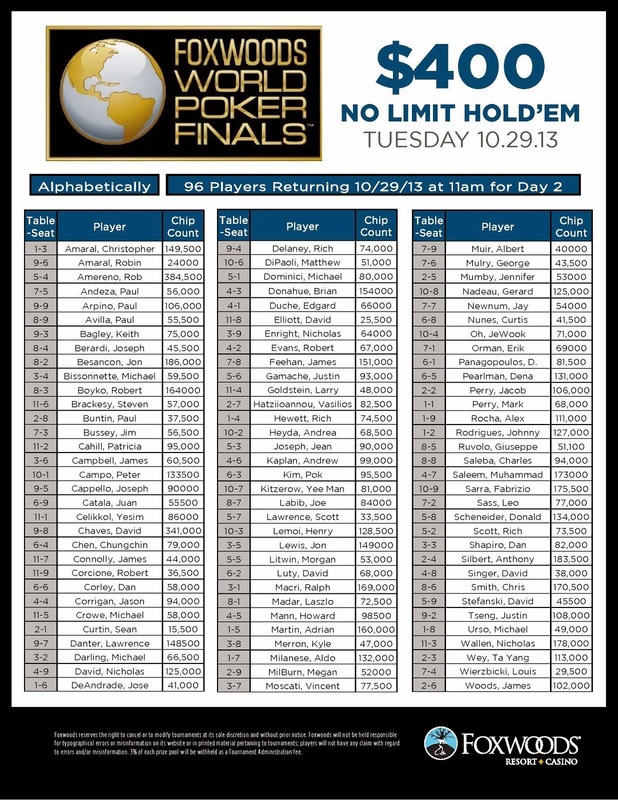 Day 1B will conclude at the end of Level 15. 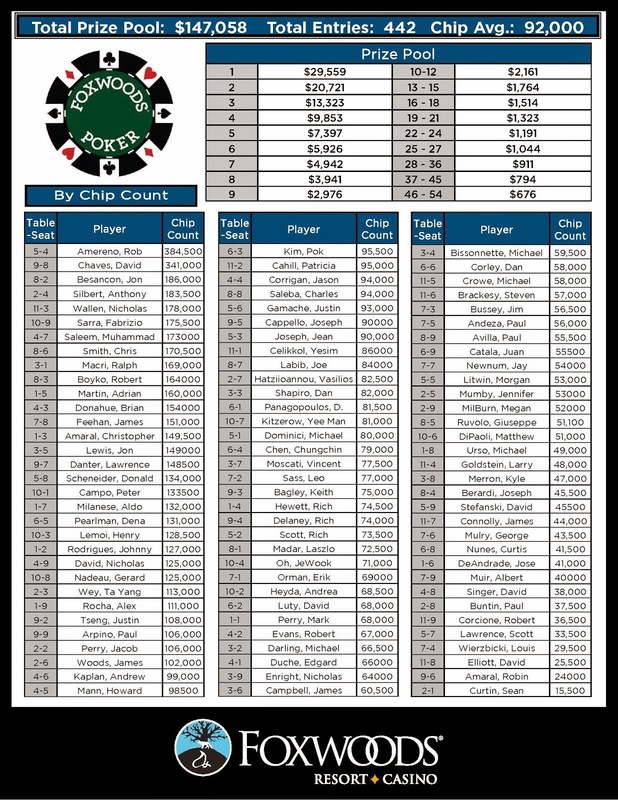 A total of 43 players advanced from the 173 that played Day 1A. The two fields will combine at 11am on Tuesday to form the Day 2 field. Congratulations to Jonathan Jaffe, winner of the $1,650 No-Limit Hold 'em Event #12 at the Foxwoods World Poker Finals. 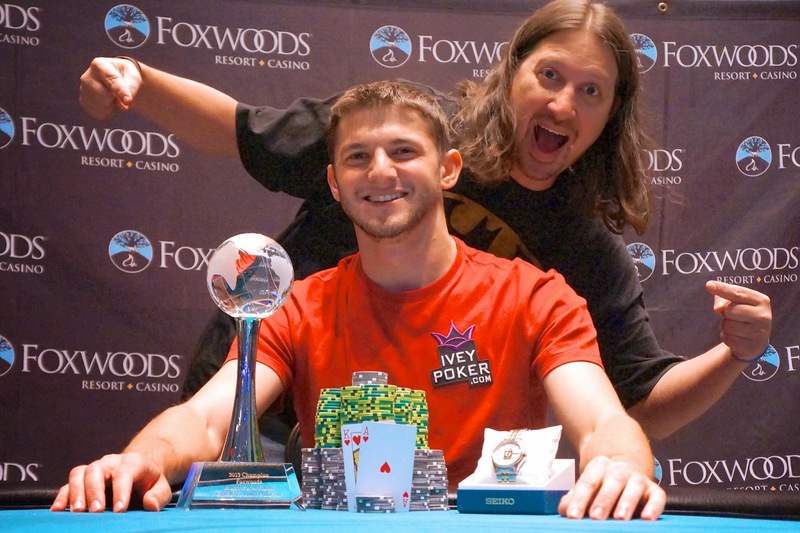 Jaffe takes home $54,372 as well as the World Poker Finals trophy and watch. Bartley Downing has been eliminated in 3rd place at the $1,650 No-Limit Hold 'em Final table. Jonathan Jaffe and Larry Jaffee have come to an agreement on a chip chop and are now playing it out for the Foxwoods World Poker Finals trophy and watch. You can watch live at FoxwoodsLive.com.